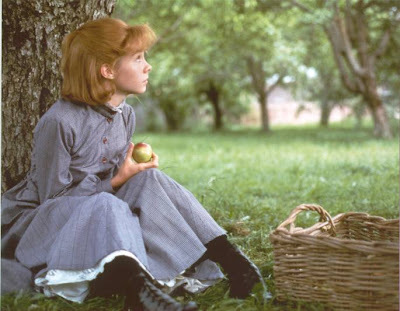 When I first watched Anne of Green Gables (1985) back in 1999, when I was nine years old, I instantly fell head-over-heels in love with the costumes. It was from the Anne movies that made me want to learn to sew an "Anne" dress -- someday. We (my sisters and I) would watch the movies over, and over again. We would rent the movies so often from the library, that the librarians would ask us if we wanted to rent the Anne movies when they would come back in, before putting them back on the selves. =) Can you guess what our answer would be? Of course, we would always say, "Yes!" Patterns I though would be perfect for recreating this dress, with minor changes of course. B4826 (View A) You would have to switch the opening to the front. Change the shape of the collar in the back. Change the fullness of the sleeve, length of sleeve, and cuff. B4698 (View D) Take away the ruffle. And smooth out the shape of the collar around the neck. Of course, you would have to adjust the collar so if fits underneath the blouse. Sense & Sensibility Patterns: 1909 "Beatrix" Skirt pattern - Just adjust the length. Add ruffle to the bottom of skirt. And have the skirt slightly gather around the waist. With all of my research, and seeing a gown from around the same era in London last Fall (sadly I can not share pictures for copyright reasons). I strongly believe that, the lace collar has either hooks and eyes (or snaps), along the back of the neck and all around to the front and back. Making the collar removable. Also, I believe that back of the dress buttons up until her sailor middy collar, meaning you would have to slip the dress over your head. But the buttons in the back (plus the collar is removable) would give you plenty of room for you to slip right through. Next up, her Vest Outfit (seen in the beginning of the movie). This is a three-piece outfit consisting of a shirtwaist, vest, and skirt. The blouse is white with light grey dots. It has a stand-up collar, which forms a "v" at the upper edge and opens down the center front. A bar pin securing the collar and a taupe ribbon forming a bow give the collar a more special air. The sleeves are gathered at the cap and cuff, with the cuff being around 2.5" wide. It is hard to see how the bodice is treated, but it most likely has some fullness. The shirtwaist closes down the front with buttons. The vest is of a grey and taupe plaid and is fitted with darts. It is pointed at the front waist and straight across the back. The vest is secured down the front with six taupe buttons. The skirt is made of a plain brown cloth (likely a medium weight wool or heavy cotton). It is six gores with fullness at the center back and has three large tucks at the hem. It is hemmed at a comfortable walking (or cycling, for that matter!) length. Use Sense & Sensibility Patterns: 1909 "Beatrix" Skirt pattern for the skirt. You would just have to add tucks. For the blouse, I would recommend using Sense & Sensibility Patterns: 1909 "Beatrix" Shirtwaist pattern for the base of your blouse. As it has many options to choose from in the pattern. Now the vest, I would recommend using a basic bodice pattern and adjust for a vest. Now link your post for today below. Or, add your pictures in our group flickr, here, if you don't have a blog. Hello! I like your blog! Thanks for hosting AOGG Fashion Week, I'm sure I'm not the only one who is grateful and excited to share thoughts, memories and ideas about Anne. I have posted about ways in which Anne has positively affected my life on my new blog, Hearthside. Do feel welcome to stop in and visit! 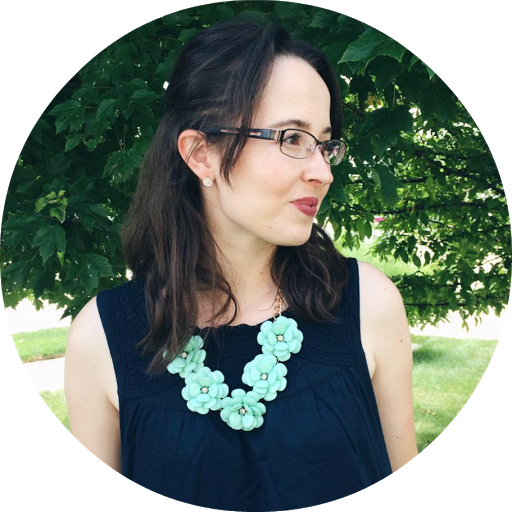 I'm new to blogging and have a lot to learn - you and the other ladies who have such accomplished blogs are an inspiration to me. I love the cow chasing dress! I did a costume one two today. Sorry for being a bit of a copycat but i could not help it! I love the costumes to much. I have some other ideas for tommorrow and the day after that i hope are a bit more different from you posts! p.s This AOGG is so much fun! I enjoy looking at what everyone has put together! I posted my most Anne-like dress on my blog, The Pleasant Times. Hi, I posted a link for today.=) I love the cow chasing dress and have been contemplating recreating it for years! I linked to my blog. My post today is for the "Drama Club" category. I'm having fun reading all the other posts! Oops, I forgot to add that my post was for "Modern Anne". Wow you really get into the costumes! There are some movies I love for the costumes though, good to watch for inspiration. I like all of your favorite dresses, but I think one of my favorites was the pink fluffy one she was wearing when Marilla told her she could spend the night at Diana's and go to the ball ... not sure where I'd find a picture for that, though! I also like the one she was wearing when Diana came and told her she had overheard her mother saying Anne was just like Marilla. My favorite Anne costume is that vest/shirtwaist/skirt costume. This is lovely! I have been wanting to make a few long, high-waisted skirts. I really like the one that Anne wears when she has that fight with Gilbert because he thinks her story characters don't sound real. I believe its a pale yellow with a off-white, lace-detailed blouse. So lovely. Let me know if you will be doing anything like this in the future. Would love to know your ideas on the matter.